Any steel car ports you need to view should be available to residences and businesses nationwide. You should be able to find out where your steel carport can be delivered and set up, right from the internet, at any time. Steel car ports for sale come should standard with the top and then, at the option of the purchaser, the sides and/or ends can be closed partially or enclosed completely. Yes, you can if you wish completely enclose your carport. 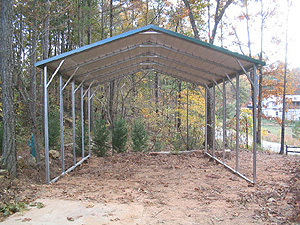 Steel carports should available in 12 gauge or 14 gauge steel framing . 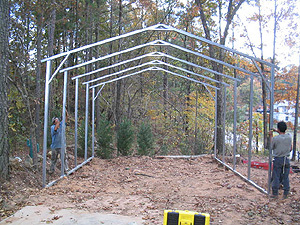 Carports be moved at a later date making them portable. Many colors should also be available. For those applications such as high wind or snow load, certification may be required and a permit may need to be acquired. You local authorities may need to be contacted in order to complete the task. 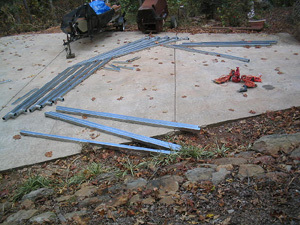 Time may not be on your side, in your opinion, so allow extra time when you plan for a steel carport. 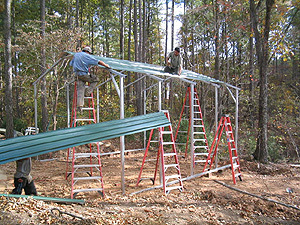 Some people want a warranty with a steel carport, some people want a 30′ or 40′ wide steel carport. Steel carport prices should be easy to get online. 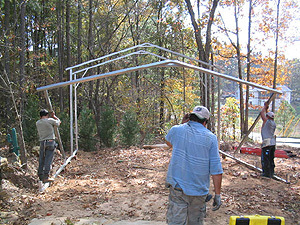 shopping for a steel carport should be easy to do and you can shop before you make your choice. Notice how much space this steel garage has inside. Nice concrete floor for driving inside. 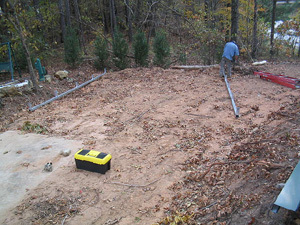 This new steel garage was installed in September 2008. It is 24’ Wide x 55 ’ Long x 11 ’ Leg Height x 15 ’ Peak Height. This steel garage is a great unit for truck storage, multiple car garage, trailer carport or boat storage. Solid all-steel garages available in twelve or fourteen gauge galvanized steel framing for residential or commercial use. Many find these structures useful for storage in many platforms. More pictures of this installed steel garage available here.